They come to see a Wall, but instead they see a little bit of their souls. Great family! 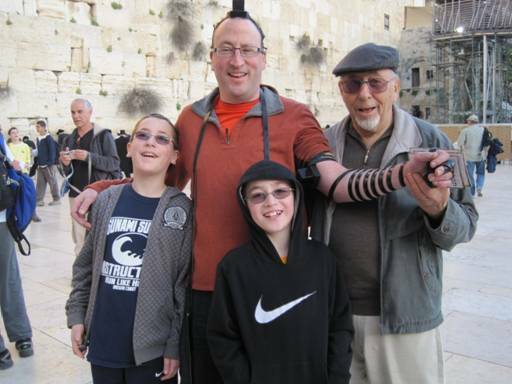 Grandpa already put on tefillin in the morning. 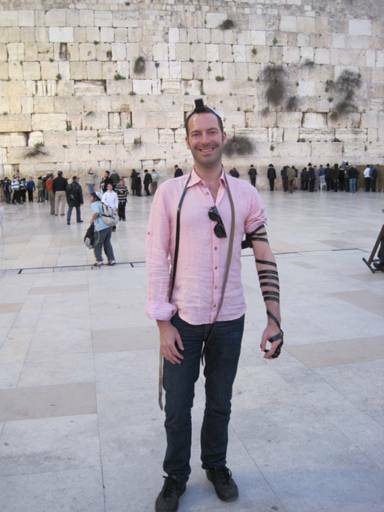 He loved it when I made the boys promise to marry only a Jewish girl. This Jewish man is from America, but he lives in Spain. 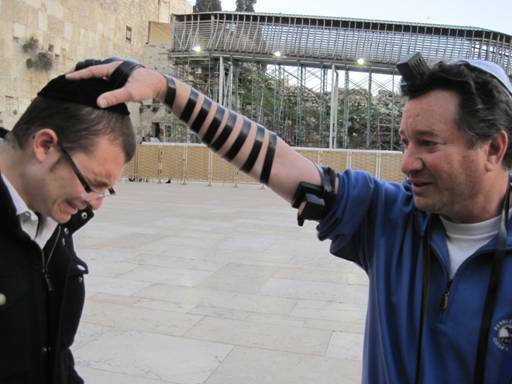 He was adopted as an infant, and he just found out that his real mother was Jewish. What does this do to a person's life? How much do most of us take for granted, such as knowing our mothers and fathers. More good reasons to thank G-d every day. The father and son are from America. The boy is in the yeshiva in Jerusalem. 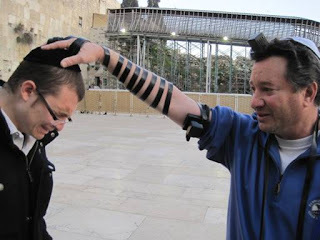 It is the first time that the father ever put on tefillin. As you can see, it was an emotional time for both of them.